Interface, one of the first companies in the world to set a goal of 100% renewable energy, is almost there. 22 years ago, founder Ray Anderson realized what his carpet company was doing to the planet and became an evangelist for corporate sustainability. Now, Mission Zero (zero emissions) has achieved 96% renewable energy for US manufacturing plants. Worldwide, the company’s total is 84%. Interface’s goal is to eliminate all negative impacts by 2020 – that’s four years away! Unlike most corporations whose renewable energy comes from wind and solar, Interface gets 53% of its total energy from biogas. “We hope that Interface’s use of biogas will contribute to creating a marketplace for more innovation in renewables,” says Erin Meezan, Vice President of Sustainability. Read our article, Interface Flooring Closing In On Mission Zero. 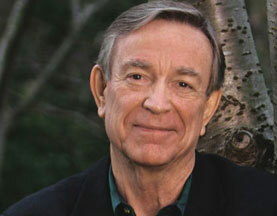 We miss Ray Anderson, who passed in 2011, a visionary and deeply caring man. 53 major corporations have reached 50% renewable electricity and are expected to attain 80% by 2020, such as Adobe, Autodesk, BMW Group, Coca-Cola, Google, Microsoft, IKEA, Johnson & Johnson, Mars Inc., Nestlé, Nike, Philips, Procter & Gamble, Starbucks, and Unilever. At the Paris Climate Summit, 2,000 companies voluntarily submitted climate pledges to the United Nations. Unilever, for example, plans to be “carbon positive” in its operations by 2030, by running on 100% renewable energy, with 50% by 2020. 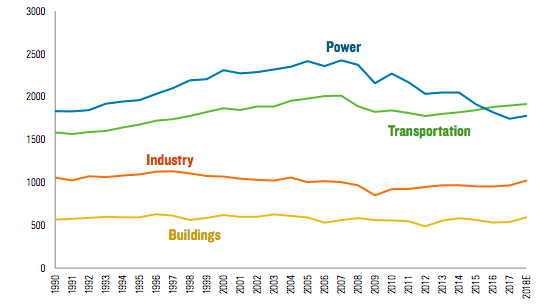 As of 2014, it gets 28% of electricity from renewables. Unilever says its sustainability efforts have saved $424 million so far, and brands that are most active, such as Dove, Lifebuoy, Ben & Jerry’s and Comfort – perform the best, reports Reuters. Taken together, carbon emissions from the S&P 500 account for 15% of the world’s total, equal to France, Germany and the UK combined, according to the S&P Dow Jones Carbon Emitter Scorecard. And 50 of them are responsible for 75% of those emissions, mostly in the energy, materials and utilities sectors. Incredibly, the collective actions of just 140 companies could get the world 65% of the way toward constraining temperature rise to 2°C. 89% of corporations are actively reducing greenhouse gas emissions compared to 49% five years ago, says CEP.